What nutrient SHOULD go in the seed row? Which nitrogen product definitely should NOT go in the seed row? 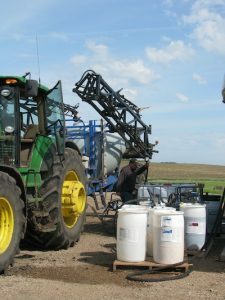 What conditions improve the safety of seed-placed fertilizer? 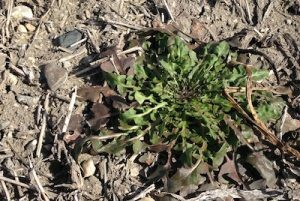 The Canola Watch quiz for April 22, 2015 included a survey question asking readers to pick the most common weeds they target in the pre-seed window on fields planned for canola. Here are the weeds ranked in order based on survey responses, along with herbicide recommendations for pre-seed application on fields planned for canola. From the road, many fields look clean this time of year, but look closer. Weed seedlings are often present at high numbers, and these seedlings will only get bigger. Now is a good time to control them, especially as days and nights get warmer. 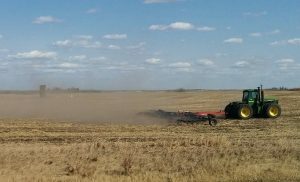 How long to wait between spraying and seeding? Seeding can begin fairly soon after a burnoff — but take note of the weeds present. 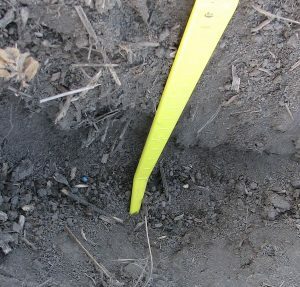 Growers who seed before spraying may want to apply in the narrow post-seeding pre-emergence window. But if that window is missed, early in-crop weed management is essential to hold yield potential. Some yield potential is likely already lost to weeds by that time. 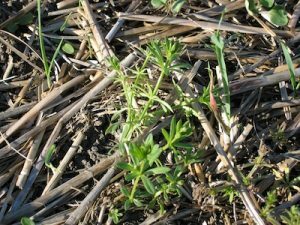 While cleavers are a bigger issue in canola, given the competitiveness of the weed and the grade loss from weed seeds in the sample, growers have more options to effectively control cleavers in cereal crops. Effective cleavers management is best done with a whole rotation approach. Sprayer sitting uncleaned for a couple days in the pre-seed window could result in tank and plumbing residues that could come back to haunt the applicator when in-crop spraying starts. Dry soil: How deep to seed? Residue management to improve canola seed placement is best done in the fall with a well set combine and, if necessary, with harrowing. Residue issues in spring are more difficult to manage, given that straw tends to be cool and tough. Waiting for sunny and warm conditions will allow straw to break up and spread, improving results from harrowing.